A Florida neighbor came by a while ago with a bag of small yellow fruits. What are they, I wondered? She made me guess and as she knew, I had no clue. 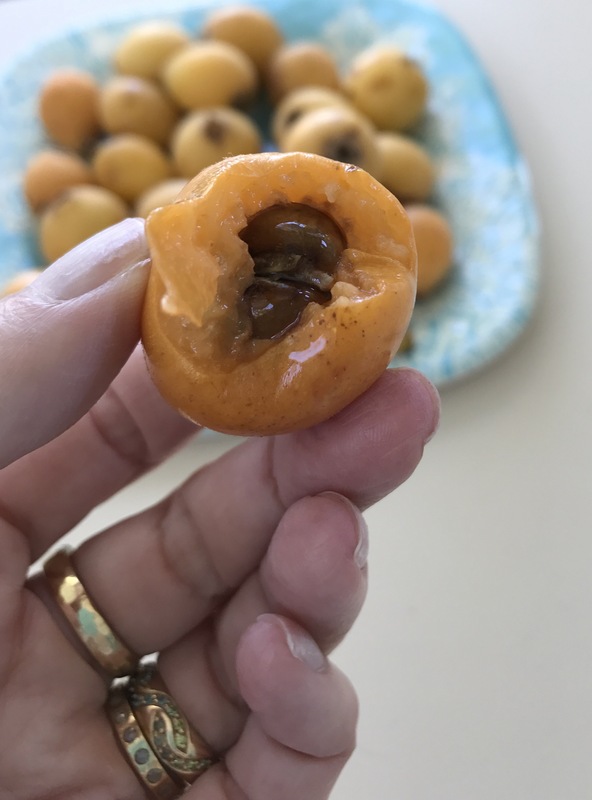 I tried apricots, figs, kumquats, and pears, but wrong, wrong, wrong and wrong. 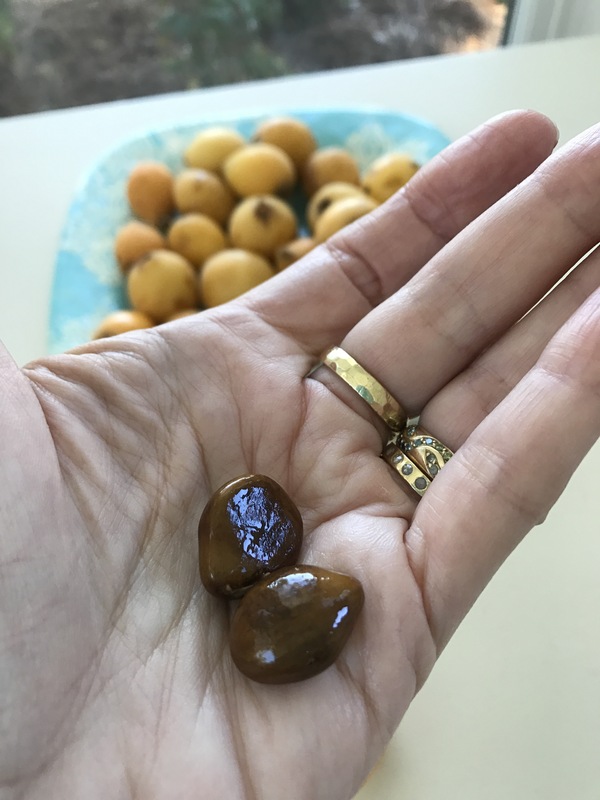 Loquats, she told me. 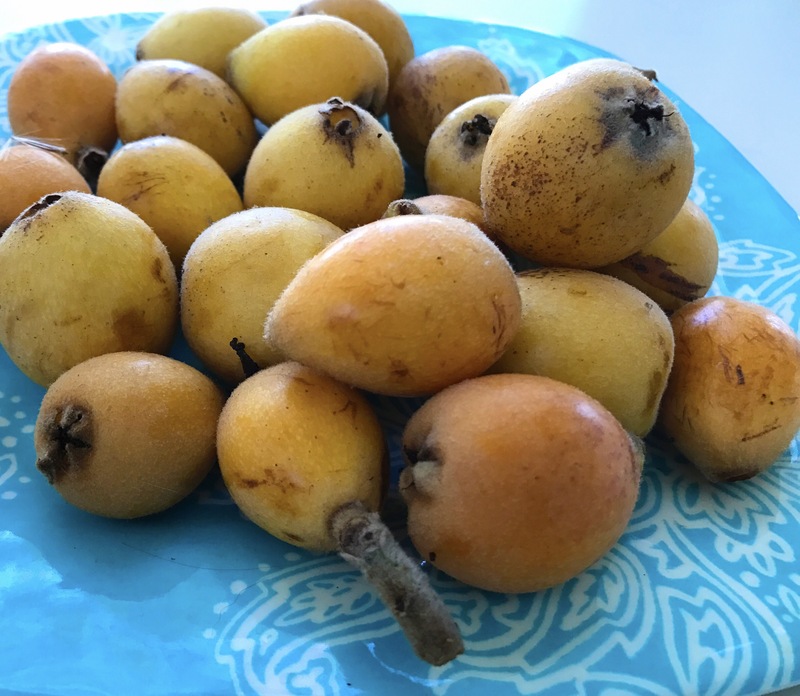 Loquats which are strangely unrelated to kumquats despite the rhyming names and visual similarities. On the family tree (so to speak) with apples, peaches and pears rather than citrus, they are originally from Asia. In fact, some people call them Chinese plums. She had imported hers to the Panhandle from central Florida and apparently they grow like weeds. From one tree she now has four that she has allowed to get tree-sized. I bit into one of the little fruits and swooned. Apricot-like they are sweet and tangy and not-quite-like anything I’ve had before. Juice dribbles down your chin and they aren’t exactly tidy, but the lush ripe fruitiness makes up for it. They have a couple of smooth hard brown pits which look pretty but, also apricot-like, contain small amounts of cyanide. If you believe the online fruit gurus, loquats can cure everything from diabetes to cancer to high cholesterol. I don’t believe them, but I am pretty sure they are full of Vitamin C and the Chinese make throat lozenges from them. Wish I’d had them a week ago in the throes of my cold, but I’ happy to eat them now to ward off another. And Ursula is going to capture a seedling for us so we can start our own orchard. 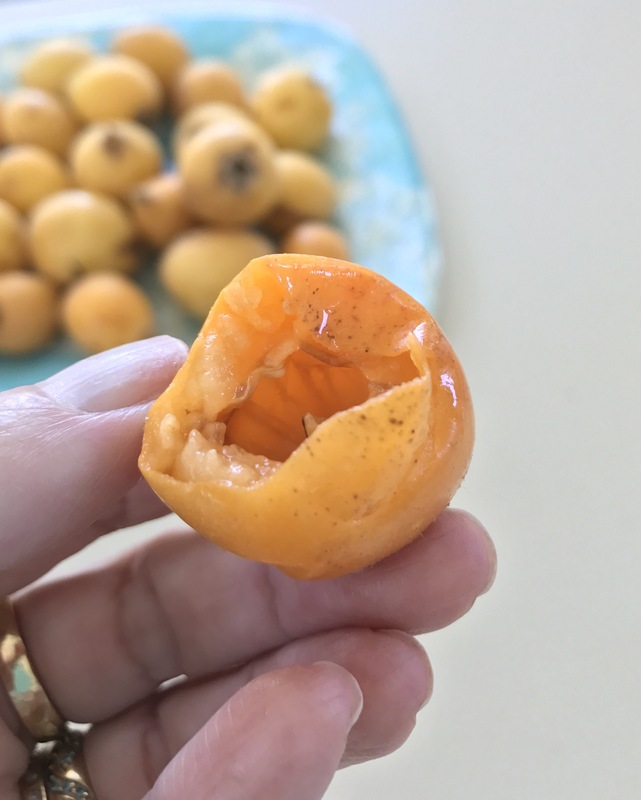 I imagine pitting a basket of them will be a pain, but I am dreaming of the loquat ice cream I will make several years from now. In fact, I can taste the creamy, tart and sweet custardy flavor already. Reblogged this on and away she goes…..